Well, it is Monday and guess what?–It is raining again. What is it about gloomy, rainy Mondays that keep you from wanting to get out of bed and start the week? I know this morning, I found myself chanting that little rhyme I learned as a kid–“It’s raining, it’s pouring, the old man in snoring.” Yes, many of us wish we were still snoring this morning, but duty calls us. We have responsibilities to fulfill, and I am happy to report on this dark, dreary Monday, that all employees at HG Logistics LLC, a third party logistics and transportation broker in Cincinnati, Ohio, have checked in and are busy with their assigned tasks. The dispatchers are making their calls, our sales force is going over their customer lists and possible prospects, and I am entering bills and preparing the invoicing for today. Have you ever noticed how things start out very quiet on Monday mornings? Everyone is very hush. It is probably due to the fact that we are not totally awake yet. About mid-morning, once everyone gets settle in and readjusted to the work day, people begin to open up and share their weekend activities. Mine are usually boring– the same old, same old–cleaning, laundry, grocery shopping, cooking. Blah, blah, blah, blah, blah! People don’t want to hear about those things. Well, this Monday, was different. I actually had something to share besides the norm. Over the weekend, I got to live out a fairytale. My church held a Women’s Holiday Gala consisting of a buffet lunch, music, and a Vintage Fashion Show. They asked me if I would model some of the clothing. I know what you are thinking–They must have been desperate to ask a 51 year old to be a model. I figure they just wanted people who would actually look the era. Regardless of their reason, I got to play dress up, wearing all these beautiful dresses and gowns that were once owned by famous people. I felt like Cinderella dressing up for the ball. For a few hours, I imagined myself a beautiful princess about to meet her prince and all the women oohed and awed (not at me, but at the dresses). I even got to live out the Roaring 20’s in a flapper dress and garter belt. Overall, it was fun and exciting and to think I almost missed out on all that when I originally had no intentions of attending. Although I never got my dance with the Prince, it was well worth sacrificing a couple hours of my Saturday afternoon. In the end, what really made me feel like I was living out the Cinderella Fairytale was when the clock struck 3:00 p.m. (I know in Cinderella it was midnight, but for me it was 3:00 p.m.) Yes, at 3:00 p.m., the Ball/Gala ended, and I had to turn in all the gowns and return to reality. And as the fairytale goes, I had a cleaning job to go to immediately afterwards. So I changed into my raggedy, ripped jeans, and my oversize, bleached-out T-shirt, grabbed my mop and broom, and left the Gala with my head held high. As I slaved away that late afternoon, I caught a glimpse of my reflection in the toilet bowl. By now my hair was drooping and my makeup running, and I resembled nothing of a princess. I asked, “How would I ever keep my Prince Charming looking like this?” But then I remembered the rest of the story. 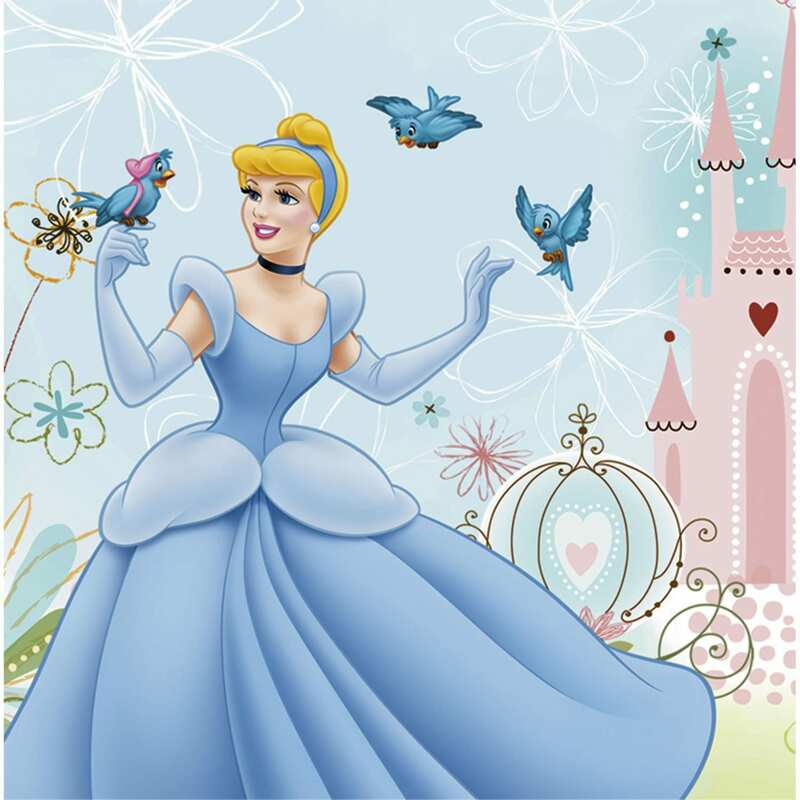 It may have been Cinderella’s beauty that first caught the Prince’s eye, but it was her loving heart and kind spirit that won him over and led them on the path to everlasting happiness. Now you may or may not believe in fairytales, but I am going to put my bet on the moral of the story–It is the heart that really counts, that inner beauty as they call it. Well, that is my gloomy, Monday morning story time event I got to share with co-workers. What was your story?